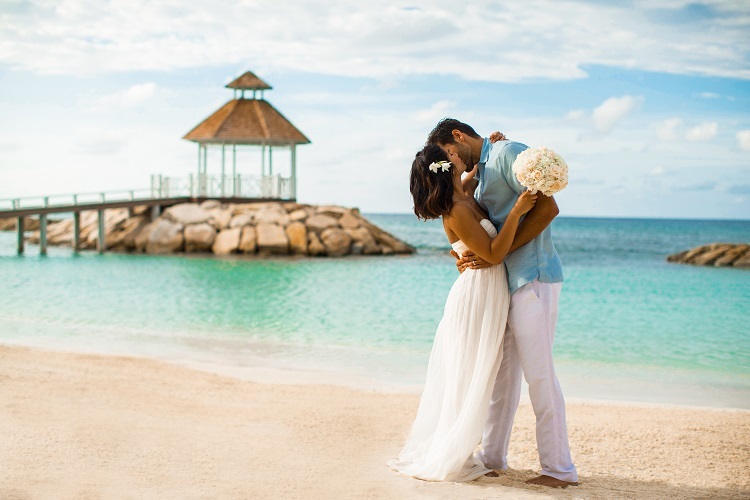 Having a destination wedding is great way to make your Big Day as special as it should be. And planning one can be easy – an extraordinary location, all-inclusive treatment and world-class service will make your to-do list seem effortless. 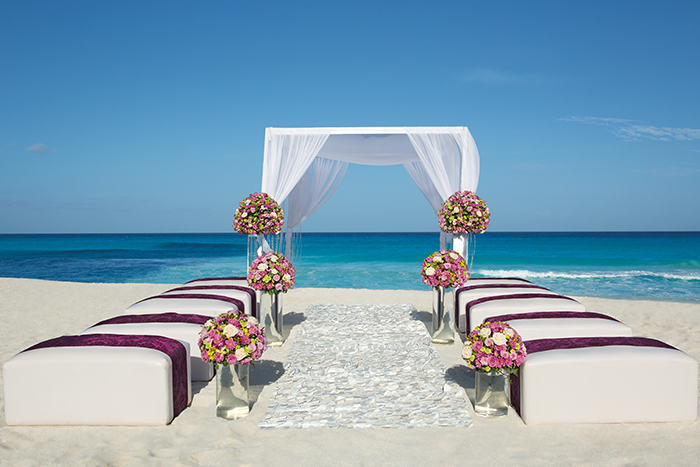 The perfect amenity for your remote wedding is a private beach for an intimate ceremony. Beaches make the perfect backdrop and compliment any décor! 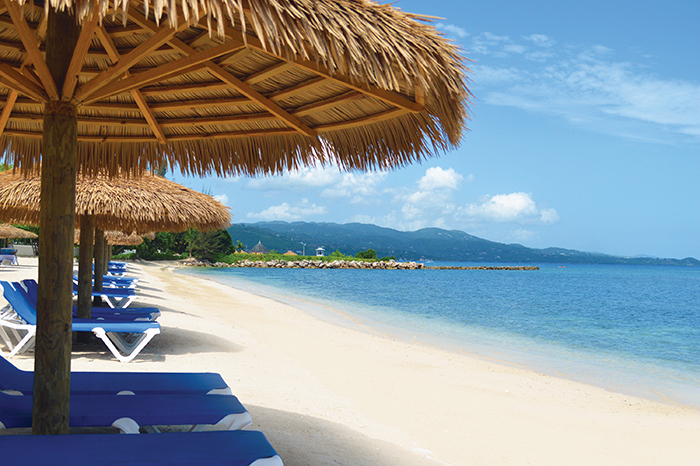 Many Caribbean all inclusive resorts with private beaches have what it takes to create the day you’ve imagined. This gorgeous resort will satisfy your every need and sits on a secluded stretch of snow white sand that fades into the crystal blue waters of the Caribbean. Wedding Packages are priceless, and unlocks perks like access to their seven succulent restaurants and jaw-dropping spa. Three wedding packages for you and your guests feature options to wed beachside or capture a view within the venue. This adults-only, Cancun all-inclusive resort sits on the Yucatan Peninsula and naturally creates a romantic setting to exchange your vows. An on-site wedding coordinator will make sure to not miss a detail for your dream wedding. Whether it’s live music, cocktails or private time, you can have it all for your Big Day. This resort lives up to its name with a sophisticated and tranquil setting that’s perfectly private for your event. The right mixture of wildlife and the Caribbean adorn their private beach with its pillow soft sand that sinks between your toes. 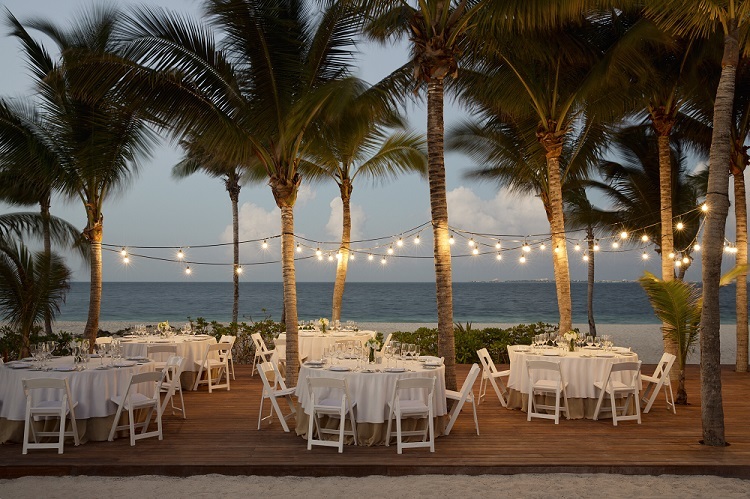 Finest offers ceremonies on the rooftop overlooking their gorgeous beach, or right on the sand! Choose from a private couple ceremony or a day shared with loved ones. Rejuvenation is this resort’s mission with amenities built to naturally relax your mind, body, and spirit. The ocean view resort sitting on Isla Mujeres takes private beach to another level! Endless Privileges® include gourmet food and high end drinks, gifts and rides on a private yacht. Romantic wedding packages come complete with complimentary spa services and your choice of music, food, and thank you gifts. Who could say no to that? Looking for more destination wedding inspiration? Visit our website and Pinterest! 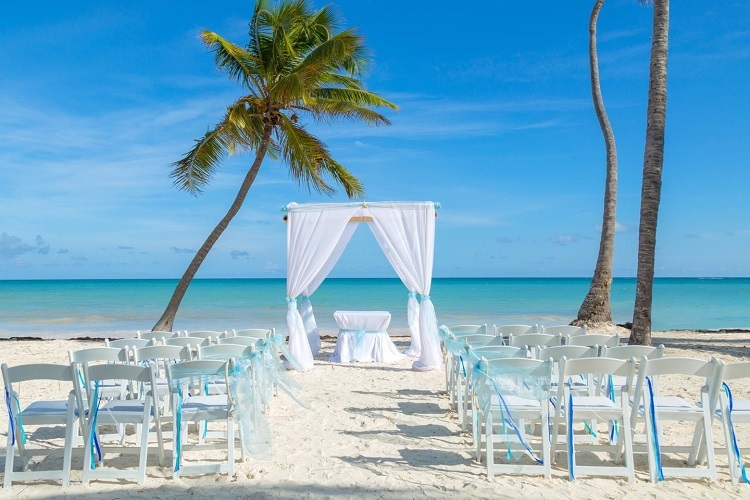 Beach weddings are ideal at this hideaway in Punta Cana! 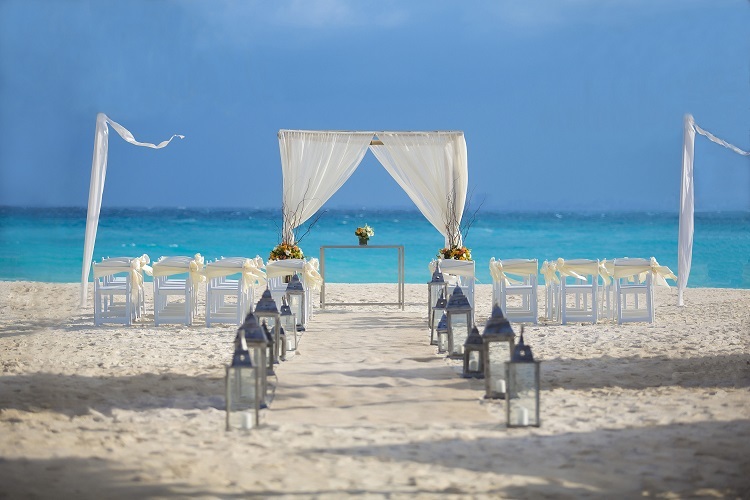 Miles of pearl sand nestled under aqua waters make a perfect spot to exchange vows. An array of wedding packages allow for celebrations as grand or intimate as desired, and each one has the backdrop of the gorgeous sea. 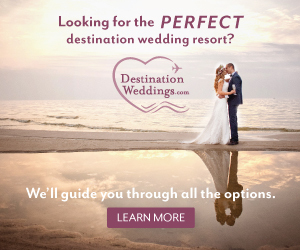 Looking for amazing wedding perks for your beach wedding? Choose the Majestic Intimate Package for complimentary flowers, wedding cake for the ceremony and onsite wedding planning services. This magical all inclusive resort in Punta Cana is surrounded by exotic habitat that secludes their private beach like no other property in the region. When you tie-the-knot, you’ll feel like the only group by the shore! Complete your Big Day celebrations by visiting the Yhi Spa and wellness center for a complimentary couples massage. Swoon! 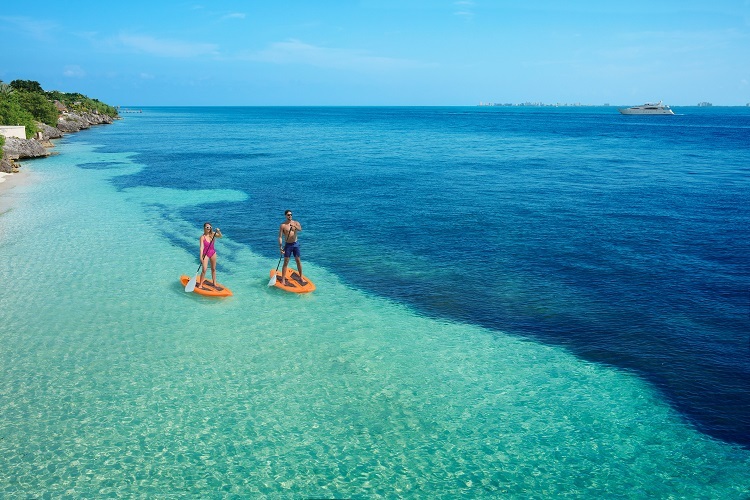 This boutique beach resort in Montego Bay, Jamaica sits in the center of the underwater Montego Bay Marine Park – making this a very unique beach wedding destination! A gorgeous private beach comes complete with a view of Jamaica’s natural wildlife, 15% discount on all spa treatments, a private cocktail hour, and late check-out for the wedding couple. 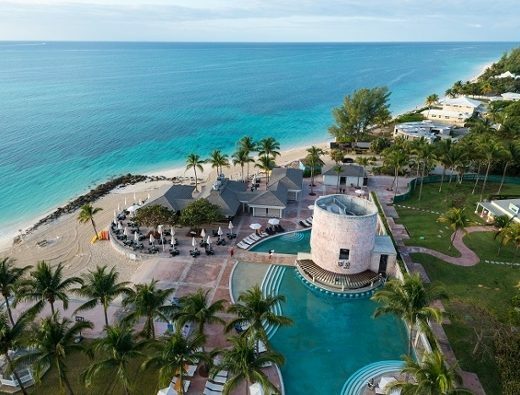 If you’re planning an adult-only destination wedding, this all-inclusive resort has the perfect beach setting for your wedding retreat. 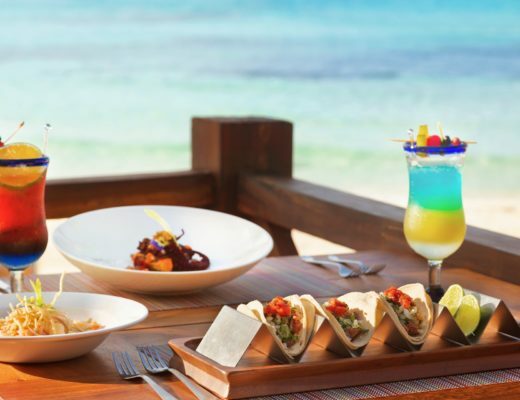 Their beach offers another level of luxury with butlers, a boardwalk and private cabanas! Enjoy wedding package perks like complimentary couples’ massage, discounted spa services, a private three-hour wedding reception and much more. 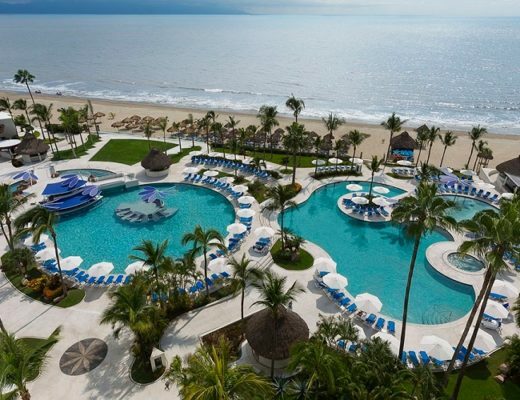 Romance surrounds this resort, making it easy to get in the spirit of wedded bliss. 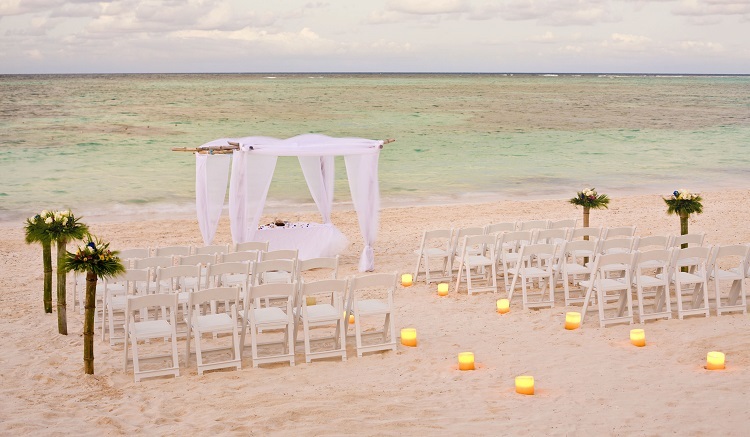 Create the beach ceremony of your dreams at one of these top all-inclusive wedding resorts.